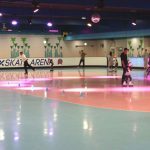 Based on information on roller skating and inline skating leased at Tokyo Dome City · Roller Skate Arena, I will explain what kind of things to choose for those who are going to start roller skating and inline skating from now on. In order to write this article, I am actually studing some sites around here to purchase skate shoes by myself. But my experience with roller skating is still two times, so please read on that (laugh). By the way, the article of the Roller Skate Arena of Tokyo Dome is “ Diet at roller skating! Tokyo Dome City · Roller Skate Arena “, please see that too. 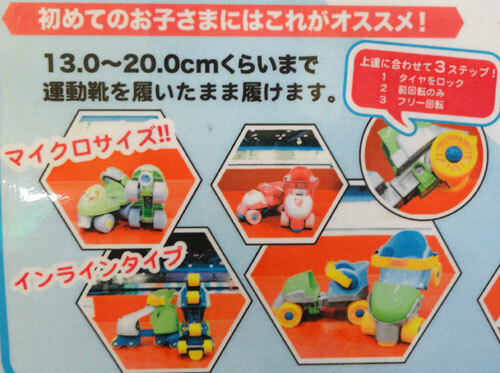 It is a roller skate for a beginner’s child. Speaking of old-fashioned nostalgic roller skating it was a feeling attached to shoes. It is a little different from that, but it is a roller skate of the type to be attached to the shoes the child normally wears. 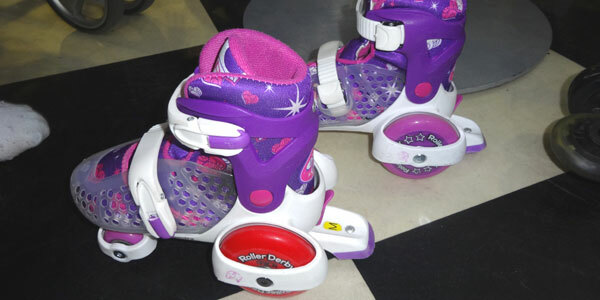 This roller skate also covers somewhat larger shoes of ordinary shoes and boots type to wear during the winter season. There are also the shape of the inline type in which the tires are attached to the four corners and in line. And it is an excellent thing that can be set so that the brake can be applied so that it slides only in the front direction that is safe for children. 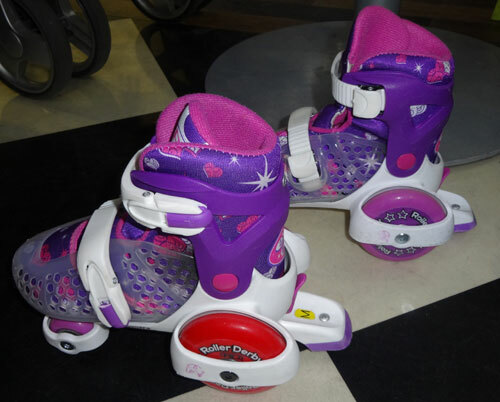 It’s a gentle roller skate for young children who are trying roller skating for the first time. However, this is really for small children and I do not recommend it because the tire slipping is not good. It may be awkward to break when it is the first time that a really small child like 3 years old and 4 years old wants to try it for a while. So, try it when you first skate at the Roller Skate Arena. Or you can buy it as a really short-term　by toy. 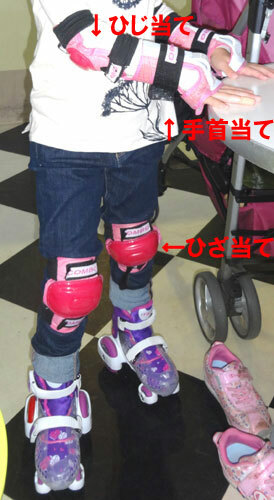 This is a commodity called “Easy roll (ROLLER DERBY EZ ROLL)” for beginner’s children’s shoes. For this “Easy roll” roller skate, the shape looks a little special. 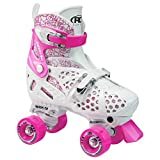 However, since there is a sense of stability, it is perfect shoes when senior citizens of kindergarten and elementary school children of lower grades begin roller skating. At the Roller Skate Arena in Tokyo Dome City, staff recommended this shoe to my 1st grade primary school student who challenges roller skating. And my daughter knew the pleasures of roller skating! There are roller skating and inline skating , but roller skating has a sense of stability so that wheels are attached at the four corners and cars can stand alone with shoes just like cars. 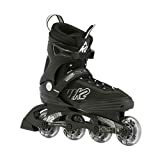 On the other hand, inline skates are arranged side by side like wheels like a motorcycle, so you can not stand alone if you put on shoes. 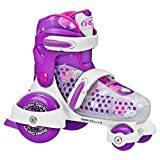 And in order to further improve the stability of the roller skate, this easy roll has the wheels not attached to the shoe sole but attached to the side of the shoes and the stability is enhanced more. And since the height of the bottom of the shoe is also suppressed, the feeling of fear coming from the fact that the line of sight becomes too high is reduced. 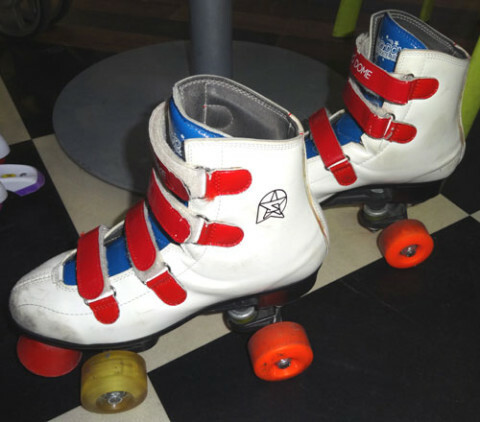 Furthermore, in order to make it hard to fall behind, stoppers are attached behind both feet, and it is designed so that novice children can use it with confidence, so it is very suitable for enjoying the pleasure of roller skating even at first . In addition, this “Easy roll” has S size and M size. S size is between 14 cm and 17 cm, M size can be adjusted from 17 cm to 21 cm so it is also nice to be able to use for a certain period even for children in the growing season. As a price, tax included, shipping fee included, it is roughly 5, 300 yen – 6,000 yen. By the way, when playing with roller skating, be sure to wear a helmet as well as knees, elbows, and wrist guards firmly attached so that you do not get injured. By the way, the direction of the wrist guard of this picture is opposite. The correct answer is to install a hard plate on the palm side so that your hands do not hurt when you put your hands on the floor. There is a protector from around 1,000 yen in 3 point set. But what is cheap and bad is meaningless if you get injured even if you are wearing it. Also, as body temperature rises it is hot and steamy, so I recommend set that is breathable and functional even. Generally speaking, “roller skating” is the type people guess. It is of the type that four tires are attached to the four corners at the sole of the shoe. Originally shoes can stand by own . Therefore, when a person actually wears and slides it is stable, and a sense of security is high. When starting adults roller skating. Roller skating may be better at first. However, when dancing with roller skating, there seems to be many people who use roller skating from a sense of stability, but there seems to be many points that inline skating is superior except for special cases like dancing. Therefore,when if you actually buy, inline skating may be better than roller skating. And as a practical matter, there are not many manufacturers that roller skates are making, and there are not many shops dealt with. Therefore, inline skating may be more likely to find shoes that match yourself. By the way, the site of “Silver Fox” famous as a manufacturer of roller skating will be below. 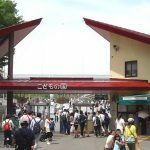 It is immediately from Ichigaya station in Tokyo. There is also a shop, so it would be nice to visit . If a Silver Fox’s roller skate you can buy it around 5,500 yen. This is an inline skate for adults I borrowed. In the case of men, I think that it is better to start with inline skating. I wrote it at the roller skating , but I think that you have to choose inline skating if you actually buy it. So, when borrowing shoes at the Roller Skate Arena, I think that it is better to start with inline skating shoe. Ice skating is also the same as inline because the blade is straight. By the way, sometimes called inline skating as a roller blade. 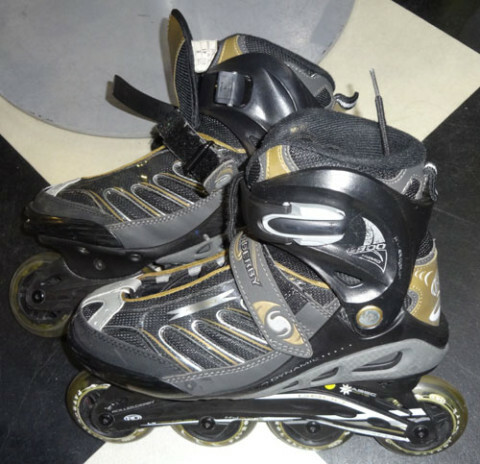 “Roller blade” is a trademark under the name of the manufacturer making inline skates. It is a pioneer company of inline skating. In the past it was a roller blade is same as inline skating, but strictly speaking it is that it is the brand name of the manufacturer. 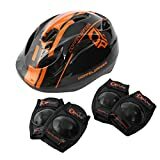 Inline skating and price are various. However, it seems to be good to buy at least the following items (10,000 yen to 15,000 yen). My daughter in primary school was the second time for roller skating. I challenged inline skating this time, but it was good. The eye line is also higher than Easy Roll and the sense of stability drops greatly. To that extent, the feeling that he himself feared was out. But she already knew enjoying and the pleasure of sliding by Easy roll. So, the feeling of wanting to slide more prevailed. She worked hard and had been sliding. However, if a child wears inline skates from the beginning, the fear may be Prevail　than pleasure. So, first I went to a practice area where I could rent Easy Roll and felt slide fun, I felt better to move to inline skating. In the case of a child, they tried sliding only once , they afraid and will not go. This is the most wasteful thing. 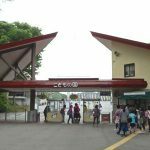 I was crazy about inline skating at the roller skate arena in Tokyo Dome City, I made the following inline skates, roller skating sites! 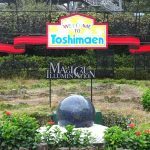 We provide information such as places where you can practice mainly in Tokyo, shops where inline skates can be purchased, so please refer to it.